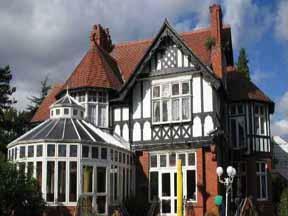 Choose from 79 hotels and guest houses in Cheshire. Shown below a just a selection of the hotels available. To search within an area please use the menu on the right. Located in the historic city centre of Chester, the hotel is beautifully situated in the Racecourse grounds, providing superb views, and offers both comfort and value so you can relax. The hotel has easy access to the M53, M56 and M6 motorways, and is only a short drive away from The John Lennon Airport Liverpool and Manchester International Airport. The 97 well-appointed en suite rooms include 5 easy access rooms, specially adapted for disabled guests. With the hotel being on 3 floors, the hotel also has a lift to each floor. The hotel is now completely non-smoking and has a licensed bar and relaxing lounge area and dining area. Only 5 miles (8 km) from both Chester and Wrexham, just off the A55, this graceful country house has a peaceful setting and great leisure facilities, including an indoor swimming pool. Individual in style, with its own unique charm, the Best Western Llyndir Hall Hotel and Spa has a beautiful, tranquil countryside setting, within easy reach of Chester and Wrexham. The impressive relaxation and leisure facilities include the swimming pool, a sauna, a fully equipped gymnasium and a beauty salon (additional costs apply). The highly acclaimed and award-winning restaurant serves international classics and authentic local specialities from the region. All of the rooms are individually designed and equipped with modern comforts and facilities. Free wireless internet access is available throughout the hotel and there is free on-site parking for guests. Cheshire Oaks Designer Outlet is within easy reach of the hotel and guests receive a further 10% discount. Further details are available on request. With free parking and great-value modern rooms, the hotel is 2 miles (3.2 km) from Manchester Airport and next to Heald Green Railway Station, for regular trains to the airport and the city centre. The Premier Inn Manchester Airport (Heald Green) is only 15 minutes by train from the city centre and the airport is less than 5 minutes away. A shuttle service to the airport is available for up to 4 people at a small additional cost. All rooms have satellite TV and telephone/modem points and some rooms can take 2 adults and up to 2 children (under 16 years). The 2 children also get a free full breakfast when accompanied by an adult eating a full breakfast. An all-you-can-eat buffet breakfast is available each morning and includes scrambled, fried, poached or boiled eggs, and pork or vegetarian sausages. There is also a wide continental selection. The on-site Beefeater restaurant serves freshly cooked char-grilled food. 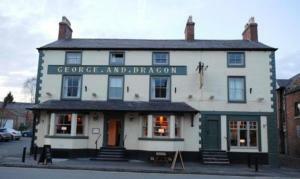 The George & Dragon is ideal for dining and socializing, and has 6 en suite boutique double rooms. It is 7 minutes from the centre of Chester. All rooms are furnished to a high standard with LCD TVs with Freeview, power showers and tea/coffee-making facilities. Great food is served in a modern environment, and there is a relaxing bar serving snacks, cocktails and Real Ales. The Forest Hills Hotel, in the heart of the beautiful Cheshire countryside, offers a wealth of excellent facilities designed with your every comfort in mind. The Hilltops restaurant has stunning views over the Cheshire plains, with a great local reputation for wonderful food created with local produce. During your stay you have full use of the leisure club with a 20-metre pool, a 2-floor gym, steam and sauna rooms and a spa pool. Relax with drinks in the poolside bar. Families are welcome. Techniq Wellbeing Services have a tranquil treatment room offering a range of massages at an additional cost. These include: hot stone, Indian head, Oriental hand and relaxation massages. Just outside the stylish Cheshire town of Knutsford and very close to the M6 and M56, this luxury 4-star hotel is a great for exploring Manchester, Chester, Liverpool and the Northwest. 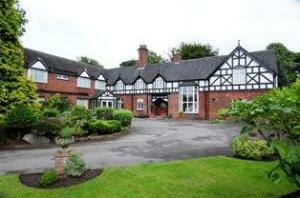 Just 8 miles (13 km) from Manchester Airport - you can stay the night at Cottons before you fly. There is free parking and high-speed Wi-Fi access. With purpose-built meeting rooms, Cottons is ideal for events and conferences. 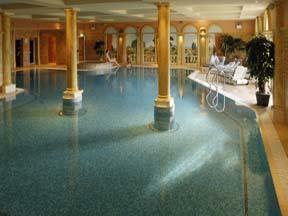 The first-class spa includes a 13-metre pool, gym, sauna, steam room and a wide range of spa treatments. Join Cottons over Christmas and New Year for fine seasonal food, wine and hospitality. With a Grade II listed, mid-18th century building at its core, this well-placed country hotel has a rich history. Set amid attractive country grounds, surrounded by the North Wales countryside and the Cheshire Plain, Rossett Hall offers comfortable rooms and modern business facilities in tranquil surroundings - just a short drive from both Chester and Wrexham. In its own grounds, just 5 minutes from Wrexham and only 15 minutes from the heart of Chester's city centre, this privately owned hotel offers free Wi-Fi and free on-site parking. 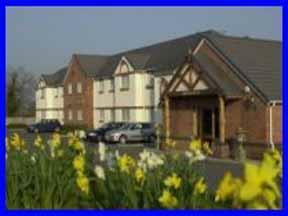 The Holt Lodge has a good location, with easy access by road to both Wrexham and Chester. The coast of North Wales is also within easy reach. There are 36 comfortable rooms, all with en suite baths and showers. All rooms have a telephone, a digital TV, a trouser press, ironing facilities, a hair dryer and tea/coffee making facilities. In the evening, the beautifully appointed bistro offers an extensive ? la carte menu and boasts a great reputation for excellent cuisine. For a quieter, more casual atmosphere, you can relax in the comfortable bar area. Tea, coffee and drinks are available all day. The Holt Lodge has its own car park at the rear of the hotel. Winner of Visit Chester and Cheshire's Large Hotel of the Year 2007, this privately owned hotel and spa is ideally located just a 5 minute drive from Chester's historic centre. Situated within a stone's throw from the border of Wales, this beautiful hotel is set in its own grounds and has 73 superb and comfortable bedrooms, all with en suite facilities. Within the hotel there are 2 dining venues from which you can choose. Ciro's brasserie is a magnificent Mediterranean themed restaurant offering modern European cuisine. On a Sunday a traditional roast carvery lunch and dinner and dinner is served. Alternatively, you may prefer to relax in Nelson's bar where you will find a good selection of gastro style bar food and fine traditional ales. Escape for a relaxing stay at one of the South Wirral's superior 3-star hotels, close to the beautiful village of Childer Thornton. A mile (1.6 km) from junction 11 of the M56 and just over a mile (1.6 km) from Runcorn East Railway Station, the hotel offers comfortable, great-value rooms and free parking. The Premier Inn Runcorn has a convenient location with good access to the region's major roads. The very heart of Runcorn's town centre is only 4 miles (6.4 km) away. The hotel has a 24-hour reception desk and some rooms can take 2 adults and up to 2 children (under 16 years). The 2 children also get a free full breakfast when accompanied by an adult eating a full breakfast. An all-you-can-eat buffet breakfast is available each morning and includes the expected cooked items such as scrambled, fried, poached or boiled eggs, and pork or vegetarian sausages. There is also a wide continental selection. The on-site Table Table restaurant offers a fresh new twist on eating out. On the A538, just 2 miles (3.2 km) from Manchester Airport, the hotel offers great value, with free parking and spacious, comfortable and modern en suite rooms. 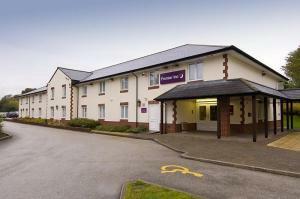 The Premier Inn Manchester Airport (Wilmslow) has a convenient location with good access to the region's major roads. The A538 leads directly to the airport and junction 6 of the M56 is only 3.5 miles (5.6 km) away. All rooms have satellite TV and telephone/modem points and some rooms can take 2 adults and up to 2 children (under 16 years). The 2 children also get a free full breakfast when accompanied by an adult eating a full breakfast. An all-you-can-eat buffet breakfast is available each morning and includes scrambled, fried, poached or boiled eggs, and pork or vegetarian sausages. There is also a wide continental selection. With the warm and welcoming feel of a traditional pub, the on-site Pub Restaurant offers good food and drink at reasonable prices. Offering guests free parking, free continental breakfast, free local gym membership and free use of a computer terminal, Happy Guests Lodge has extra-spacious bedrooms in a great location. Happy Guests Lodge aims to make guests happy. The en suite bedrooms all feature 30-channel digital TVs, telephones, hairdryers, heaters and tea/coffee. Enjoy the selection of snacks available in the friendly guest bar. Just 3 minutes from the M56 (junction 10 - Warrington/Northwich), Happy Guests Lodge is in a green-field location next to the A49 road. Warrington, Northwich and Runcorn are within 10 minutes. Within 20 minutes there is Widnes, Chester, Manchester/Liverpool Airports, the Trafford Centre and Cheshire Oaks. On the A556 road, the M56 motorway and M6 motorways, the hotel offers comfortable rooms, free parking and a family-friendly Brewers Fayre pub-restaurant. Close to Mere Golf and Country Club, the Premier Inn Knutsford (Bucklow Hill) is 3.5 miles (5.6 km) from Knutsford Railway Station. South-west of Manchester city centre, this Premier Inn hotel is less than 10 miles (16 km) from Old Trafford football stadium. Some rooms can take 2 adults and up to 2 children (under 16 years). The 2 children also get a free full breakfast when accompanied by an adult eating a full breakfast. The full all-you-can-eat breakfast includes cooked items, vegetarian options and a wide continental selection. 2 miles (3.2 km) from central Warrington and 3 miles (4.8 km) from Warrington Central Rail Station, the hotel offers excellent motorway access, free parking and rooms with luxury power showers. 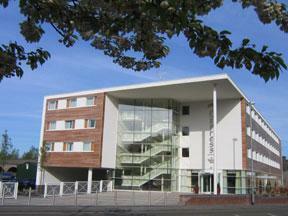 Some rooms at the Premier Inn Warrington North can take up to 2 adults and 2 children (under 16 years). The 2 children also receive a free full breakfast, when accompanied by an adult eating a full breakfast. The full all-you-can-eat breakfast includes cooked items, vegetarian options and a wide continental selection. The Premier Inn Warrington North is next to a Toby Carvery restaurant, which serves a traditional menu in a welcoming environment. Sale's longest established hotel, family run for more than 40 years with award winning restaurant Set in 2 Acres of gardens, ideal for relaxing after a busy day, close to all local motorway locations The Hotel has been run by the Prophet family for more than 40 years and has gained an enviable reputation for quality and comfort under their personal management. Resplendent in its Victorian elegance, the Normanhurst has retained the charm of that era to provide you with a wonderful experience, whether you are dining in the award-winning restaurant or staying in one of the hotels 40 bedrooms (All worthy of 3 stars), which includes several suites offering four poster beds. This 3-star hotel is opposite Crewe Railway Station and just minutes from junctions 16 and 17 of the M6. Crewe Arms Hotel has a bar, restaurant and lounge; free Wi-Fi throughout; Sky TV; 24-hour room service; and a multi gym. Seven conference rooms are available, and there is plenty of free on-site parking for guests. Perfectly situated for visiting the many local attractions, the hotel is set in beautiful Cheshire countryside, within easy reach of the M62, junction 7, and the Mainline Runcorn Station. From the business traveller to family weekend breaks, the Best Western Everglades Park Hotel in Widnes, Cheshire has a variety of accommodation for all occasions. Personal comfort and relaxation are what the 67 bedrooms have to offer. Some rooms have a balcony. 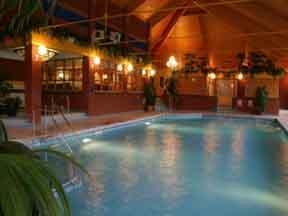 The Best Western Everglades Park Hotel is registered under the English Tourist Boards Accessible Scheme as a Grade II. 50% of all accommodation is on the ground floor and 2 rooms are specially designed for wheelchair access. Please note that over the Christmas period, some services may be limited, therefore it is advised that you email or call the hotel first. A mile (1.6 km) from Cuddington Rail Station, this Premier Inn hotel has free parking, family-friendly rooms and a cosy Chef & Brewer restaurant. The Premier Inn Northwich (Sandiway) has a traditional-style pub restaurant, with open fires and a welcoming atmosphere. Some rooms can take 2 adults and up to 2 children (under 16 years). The 2 children also get a free full breakfast when accompanied by an adult eating a full breakfast. The full all-you-can-eat breakfast has the expected cooked items, including vegetarian sausages, as well as a wide continental selection.